*Dietary Information: Meal plan includes meat, nuts and grains, some with gluten. * Get ready to eat clean with this easy-to-follow plan from the registered dietitians of C&J Nutrition, featuring 3 meals, a snack, and a treat daily! 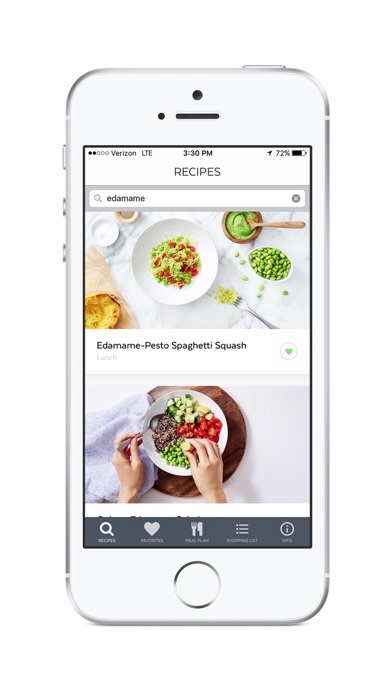 Easily add ingredients to your shopping list, track your progress by checking off meals as you complete them, favorite recipes you love, and sync all your meals with your Health app. The recipes focus on whole foods — fruits, veggies, whole grains, healthy fats, and lean proteins. - Each day of meals, including snacks and treats, adds up to about 1,600 calories. - The carb, protein, and fat ratio is close to 50:20:30. - The carbs are all whole grains, so they're high in fiber. - The plan is free of dairy and processed sugars. - Limited caffeine is OK, but the plan is alcohol free. Download now! 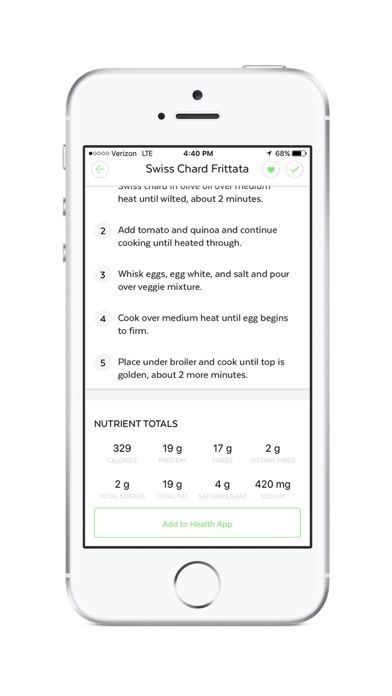 The app is good, but there is no customization to the meals. If you have allergies to certain foods, you can't find recipes without those. Also it only gives you the two weeks of food nothing else. I wish I would have known more before I bought it because I wouldn't have purchased. 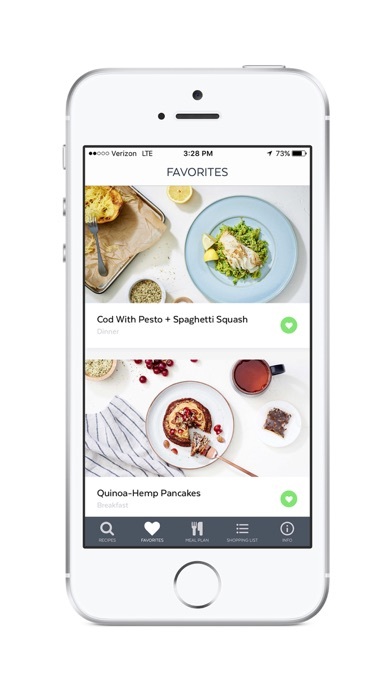 There are better clean eating apps out there. Food is very expensive plus hard to find . Good idea needs to be contorted to fit persons economic & geographical place in life. I wish I'd gotten more info before choosing to pay for this app. 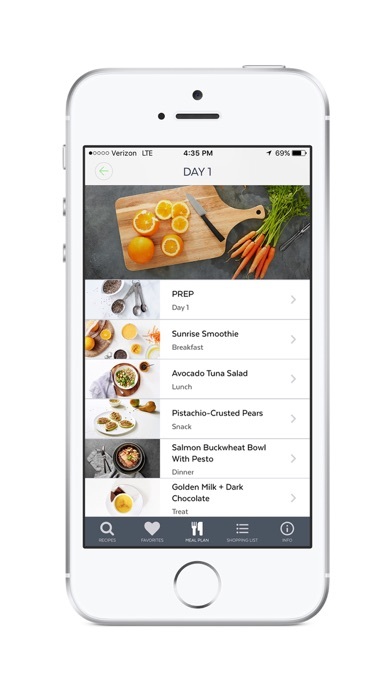 I think it has a lot of potential - simple layout, clean design, easy to create a shopping list - but they neglect to tell you that it's only two weeks of recipes, all of which are included in the meal plan. There aren't any other recipes to browse or substitute in case you don't eat some of the items included. I searched for "turkey" and it had 0 recipes, suggesting instead that I try "avocado." I'd wait until they update this app a few times and make it actually worthwhile. Got me out of my rut. Great recipes and inspiration. Super easy to use! So far this app seems super easy to use. 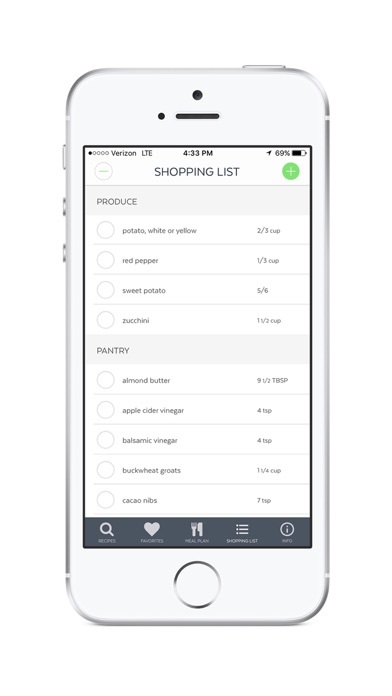 I appreciate the ease of creating the shopping list. I'll be starting the program tonight w a shopping trip today and prep for day 1. Stay tuned I'll be back w more experience. these meals are really good. i've tried eating clean before and it's hard to find tasty recipes. i was never hungry either. i didn't expect to save $$, but actually the recipes do a great job of reducing food waste and i think in the long run i actually spent less! Staring Contest - Don't blink!